It’s been months since we last saw an update for the Wii U, but that’s not necessarily surprising given that Nintendo jumped ship with the thing just about as fast as they plausibly could’ve. Indeed, the Wii U died a quick death as Nintendo moved on to greener pastures with the Switch, but it seems that perhaps the company hasn’t already completely forgotten about its ill-fated device. A new update was just put out for the Wii U, and after installing it, we can confidently say that the OS will never be the same. 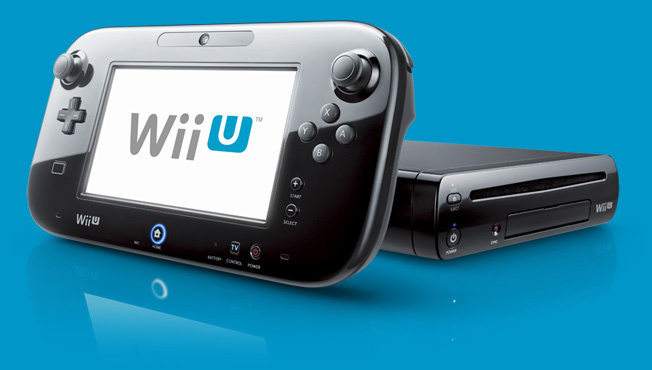 In a way that only Nintendo can do, the Wii U is now even more stable than it was ever before. Install that update now, and gaze in awe at the sluggish (but super-stable) speed of the system as it struggles to switch tasks and do basic things like loading Miiverse or the eShop. As it would happen, this update does nothing else, but hey, at least Nintendo is still supporting the console somewhat, right? What do you think? How long does the Wii U have until Miiverse or its own eShop get disabled? How much more stable will the console get before it finally kicks the bucket? Drop us a comment in the section below. If you update, say goodbye to Smash 4 mods. I've been seeing a lot of YouTube videos about hacking in Splatoon online lately. Maybe this has something to do with that? My mods 'n'. Also this update includes text that foreshadows the end of Miiverse. This is horrible stability! @ninty-love I don't know for sure, but I would say that's very likely. Dude. My Wii U was literally teetering on the edge of my entertainment center, on the brink of falling out. And then I installed this update, and the stability made it not fall out. Thanks, Nintendo! I actually still use my Wii U a lot. I watch Netflix on it all the time. Now with this update, I can have a more stable Netflix experience! The Wii Shop Channel's still around after over a decade. The Wii U eShop isnt going anywhere anytime soon. The WiiU was a fun to play console but since getting the Switch it has taken most of my attention. It is time to move on and bring on the virtual console to the Switch! ASAP! I have a hard time believing Nintendo will disable the Wii U eShop anytime soon. The original Wii Shop Channel is still running. I expect online gaming support for Wii U for at least a couple more years before it gets canned but for the eShop to stay up and running for a good long while. Miiverse will keep kicking for a while, too, seeing as it's tied to the 3DS, as well, and Nintendo doesn't seem to want to let their ancient portable die. Still working on Xenoblade X, now that my Wii U is more stable, I'll have it beat in no time. Wii U is stiil ALIVE ! The Wii shop channel is still online. Eshop is probably going to last a while. I think the DMCA (or similar law) requires that a company continue to make available digital purchases (if under DRM) for a customer, or if unable provide a way for them to back up their purchases and disable the DRM. This is why when Sony disabled PSP eShop access, you can still backup and download your digital purchases from your computer or a PS3. Not to say that eventually as contracts expire the eShop will lose most 3rd party content, (but you'll still be able to download purchases). This is also why Nintendo's approach will cost them, Sony at least incurs less maintenance b/c PS Store is just one service for all their stuff, and you can buy and download via a PC, so they don't need to support the PSV and PS3 Direct access any longer than necessary. They'd almost save money in the long run if they updated everyone's legacy accounts to allow them to directly manage via web browser, and download straight to an SD card. Psh. The Wii U will never catch up with the 3DS at this rate! Its stability is like quicksand in comparison. Well, I'm never taking my DNS settings off. I'm not giving up my Smash Bros. mods. The only system update I'd hope to see for Wii U is one where they make the system region free to help make up for the low number of games released for it. @bloodycelt How does the DSi shop factor in to that? Is there any way to back those games up? I guess I'll be disconnecting my Wii U from the Internet for the time being. If I still had my Wii U, I'd be in awe of its stability. Nintendo (sort of) never leaves a soldier behind....? Also dust, all the dust! Why is this article so mean sprited? Not what I expected from another "stability" article but I suppose it makes for a refreshing twist. Appreciate the info though. I hope you're right, but what about the closed DSi store? Where did you read this? I'd like to read about more. "I think the DMCA (or similar law) requires that a company continue to make available digital purchases (if under DRM) for a customer, or if unable provide a way for them to back up their purchases and disable the DRM. This is why when Sony disabled PSP eShop access, you can still backup and download your digital purchases from your computer or a PS3." Well the wii eshop is still live so i guess it has years and years to go yet. I love my Wii U! wii u still gets used more than my switch. Still have a great number of games to finish. More stable gaming on WiiU ! @Phin68 Wrong, there's already a way around it, but I'm not saying how or where to find it. So yeah, Nintendo only did this as a fan service. Also lol nice try Nintendo, but you haven't won. 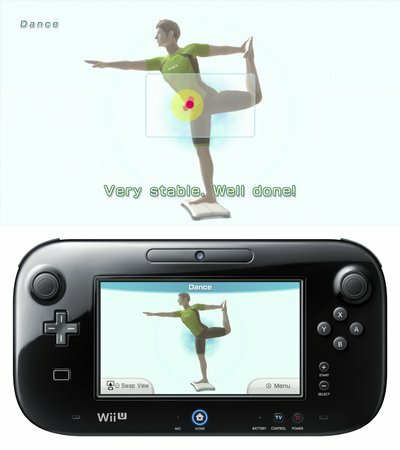 ...incredible!...my Wii U is so Stable..
..it got a life coach and exercises every day! I was saying in the forums that they could have improved the OS more but they don't want to detract from the Switch. They like that people say how the Switch OS operates so much faster. Well it's easy to run quicker when you don't have to display on 2 screens and you've nothing to run besides games. No apps, no browser, no Miiverse, etc. The eShop won't be disabled. Sure the Wii eShop is still running a decade later. Miiverse, I could see them ending. Can't have the Wii U outshining the Switch in that regard. Likewise, I can see them closing the online game servers by the end of the year possibly, I'm not sure even that they're that stingy, maybe next year, perhaps at the end of June, post E3. Rumours are already circulating regarding Miiverse. @SLIGEACH_EIRE Nothing having to load a whole plaza full of Miis probably helps too. Was just playing my WiiU earlier tonight. I love my WiiU. Haterz gonna hate! Give your WiiUs hugs mate! The eShop is not going anywhere anytime soon, considering the Wii Shop Channel is still up and running. The wiiU eShop has still been recieving new content each week including wiiVC games so I'm sure that it will be around for a while yet. It will be a big loss when they end miiverse because it can be extremely useful way of finding things like RPG maker game IDs and suchlike without having to search random forums and things. Finding teammates and things is another good thing about it, the bad thing about it was probably it was TOO moderated. Nintendo shows their awesome support for their 5 year old system. Miiverse isn't going anywhere only because of the 3DS, otherwise they'd be in a hurry to disable it. As long as there's money for them to make via the eShop, they will likely keep it up and running. This is why the Wii Shop Channel is still going after all these years. A lot of those Virtual Console games and most of those WiiWare games are only available there, so people are still downloading them. In fact I just put 10 bucks on there a couple of weeks ago to download Super Air Zonk. It's not on the eShop/Wii U VC and I wanted it, so there ya go. I was at Gatwick airport on Saturday. A man literally pulled out a Wii U (plus gamepad) at the security check. Oh no... my Sm4sh mods!! @jswhitfield8 Maybe to fly to/from EVO or another gaming tournament? Gotta get every ounce of practice in those hotel rooms! Hi may I ask? What is a wii u? I know miiverse was basically worse than the black death, but I still loved the idea of it. Splatoon 2 is trying to keep its posting system self-contained but I'm holding out hope for a miiverse replacement to come along one day and maybe, so long as we're dreaming, allow you to simply tag your posts as NSFW and then draw all of the willies you want. Just because Nintendo have stopped supporting it with games, that doesn't mean they are gonna stop updates. Who knows... maybe the spotted a vulnerable security flaw where if they don't fix it, there's a chance of hackers getting in. After all those years I gave up waiting them to make the Wii U OS faster. Anyway as long as they keep the Wii U VC (regardless of the bad emulation on some titles) up I am good, the Switch has no appeal to me yet. @SM4SHshorts I don't think so. He was middle aged, had young 4 kids and a wife who was exacerbated by having him pull out all of the technology. I don't mean to stereotype but he didn't seem like the competitive gamer. Meanwhile Breath of the Wild still has terrible framerate on Wii U. Priorities Nintendo. Extra stability can never be a bad thing! Hopefully it will help me through the last of my Wii U games before I can buy a switch. So I guess that now Switch is out and a success, Nintendo Life is going to insult the WiiU now too? I'm not saying people should lie and say it's super fast or anything but it's kind of a low blow and felt irrelevant. It's weird that they updated it now... one would think they are more worried about avoiding exploits on the Switch. The stability here is that the update actually blocks an entry point for softmodding. But that's all it blocks in regard to hacking, it does nothing to stop you if you've already installed a cfw on the system. if the Wii U does kick the bucket...lol hopefully we will be able to take our digital games over to the Nintendo Switch. it is really easy to create an update for the system to use the Wii U gamepad and those damned Wii-remotes....a Wii U compatibility mode for the Switch would be nice. now that the Nintendo Switch is available, i will never be buying another Wii U game again.....i think that is true for many others. besides i never used Miiverse at all unless i wanted to get some my Nintendo rewards points. only a logon is required to get those beloved points. I honestly don't see what's so slow about the Wii U's OS. Are people really so impatientthat they can't wait 10 seconds for Miiverse to load? @duffmmann I see Nintendo is desperate lol. Too bad that it wasn't much of an effort, I'm sure another exploit will be found. @SwitchVogel "new update was just put out for the Wii U, and after installing it, we can confidently say that the OS will never be the same. In a way that only Nintendo can do, the Wii U is now even more stable than it was ever before. Install that update now, and gaze in awe at the sluggish (but super-stable) speed of the system as it struggles to switch tasks and do basic things like loading Miiverse or the eShop." So harsh. So true. But so harsh. @bloodycelt Redownloading is not a consumer right by law. There is no such law in the most of the world at least. Its definitely not in the DMCA. DMCA did the opposite of extending consumer rights, it limited them. DMCA gave more control and intellectual property rights to producers. Doesn't seem to be more sluggish here. Nice to see an update. Someone, please, clarify why Nintendo would kill Miiverse and Wii U's eShop? I don't see why, at all. Working on minor updates from time to time shouldn't be a problem for Nintendo and plus, they can still make a little money from it considering a lot of people like myself are still playing games on it. the update also interlocks into yer switch and blocks any downloads for mother 3 when it gets released for switch. making it even more desirable. Still using Wii U and so are my friends. Hope they keep the online and eshop for a couple of years at least - still buying games from there. Maybe I should softmod my Wii U before doing this update? No I don't use pirate games, just backups from Wii softmod. Thanks Nintendo, the Wii U will definitely benefit from that table scraps of an update. The consumerism in the comments is disgusting. Wiiu is a nice console. The web browser on it's own is worth half it's price imo. @Donutsavant They won't do that, they'd rather that we buy SNES games again through virtual console for a third time. Fourth time if you happened to buy it on the 3DS too. Forget cross-buy, that would be too kind of Nintendo to do for their customers - squeeze them like a turnip, that's the Nintendo way! Still using the heck out of my Wii u. Not going to get a switch until some new games come out. Probably jump this fall or winter. @stevenw45 You make it sound like Wii U emulation on Switch is a simple thing. It's not. Not only is Wii U software coded and architected completely differently from Switch games, there are licensing nightmares standing in the way for any games not developed and published by Nintendo. It would require much more than a simple software update to have the Switch accommodate the GamePad and games intricately designed for an entirely different console. And besides, it's not like your Wii U ceased working when the Switch released. You still have all your old software. i know that Wii U emulation on the switch is not easy and the reasons for doing so. for some reason i felt like phrasing it that way. the retail games games are not always work porting over even though it would be a lot easier for Nintendo to make the Wii U gamepad work with the switch than it would be to change the controller configurations. but in terms of that only include the amount of programing involved. either way no one wants to deal with the nightmares that comes with licensing. both of us can go more into detail about this but i don't want to deal with hundreds of possible details that might give us both headaches. Smash Bros update is over 2 GB..how? @SwitchVogel thanks for these articles man, they make me lol hysterically every time you post. I then try to read your articles to my wife and I can barely get through reading them out loud when I get to the word "stability" without us laughing together. Keep um coming! @cdecker42 Ha, glad to hear it! These are my favorite articles to write, I always love it when a new update comes out. @zionich Do it soon, because if they turn off the online for that game 100% will be pretty tricky! I hope you are enjoying it! Finally! Other than a few games on my Wish List, I knew my Wii U was missing something: stability. @iphys Custom Firmware has already answered your call as long as you didn't update to 5.5.2. You can install all your Wii U discs onto your Wii U formated HDD to keep your discs safe too. @stevenw45 Switch is only around 2x Wii U. It does not have the power to emulate Wii U. The reason the Wii Shop is still open is because they sold 100 million consoles. The Wii U barely did a tenth of that. Nintendo wants to wash their hands of it. Miiverse, online play, and eShop will be cut from it quite soon, perhaps 2/3 by January. Isn't the wii eshop still up and running? So the wiiu eshop may stay for a while. "How long does the Wii U have until (...) eShop get disabled?" This gets me to a question that really worries me: 98% of my games are digital... how can I secure them with no eshop? I can't re-download them anymore if a HDD goes bad! Maybe NLife can make an article about that! People say it is hard going back to 3ds after Switch, I play both, but going back to Wii U is so hard, I know it'll take a decade just to load and I will probably have to plug in the clunky gamepad etc. It's a pity, I love the games on it.